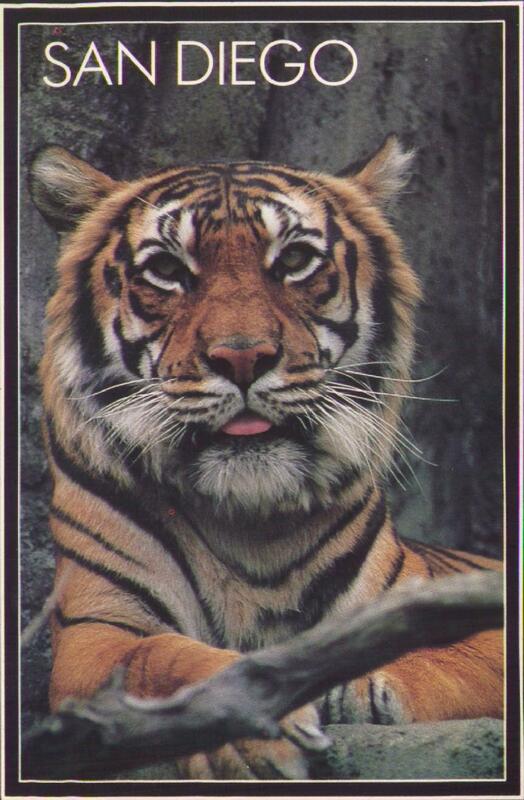 I am busy at the conference in San Diego but I found this tiger postcard for you. Bengal Tiger - One of many species housed at the San Diego Zoo. 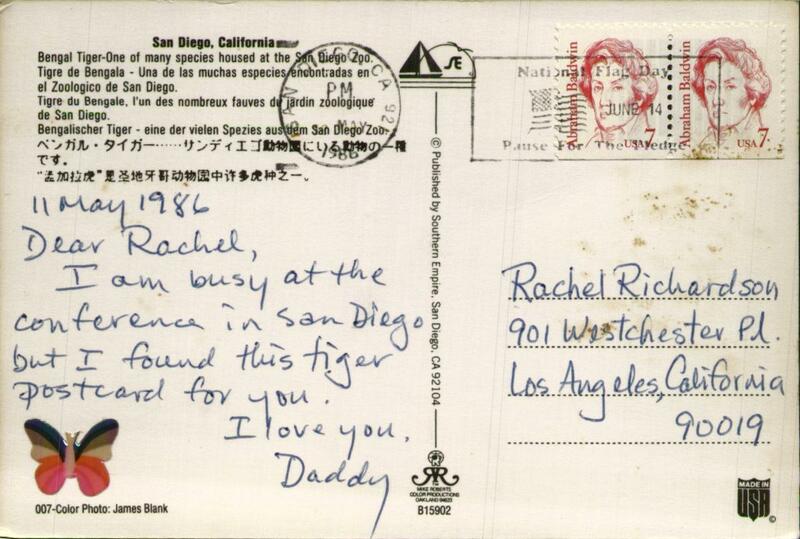 "No time to talk, Bob--gotta find a tiger postcard for my little girl."